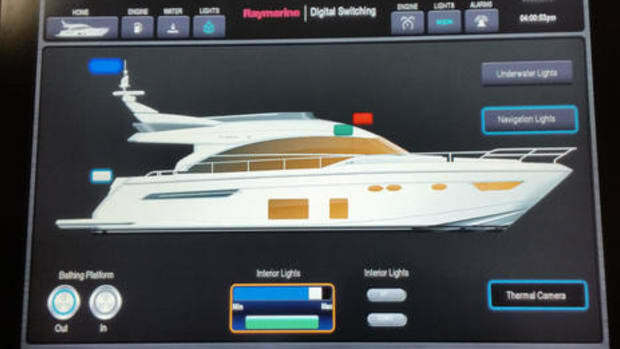 Wow, Raymarine is kicking off the new marine electronics year in grand style. 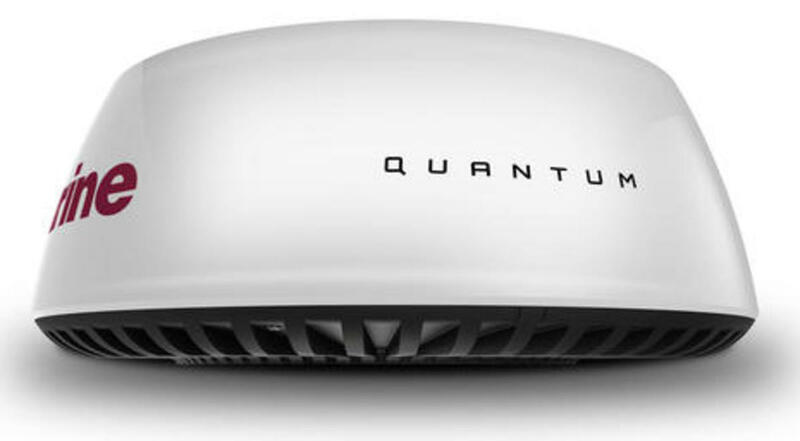 Debuting today online (and at the New York Boat Show) is the Quantum Q24C solid-state radar seen above. Wow, Raymarine is kicking off the new marine electronics year in grand style. 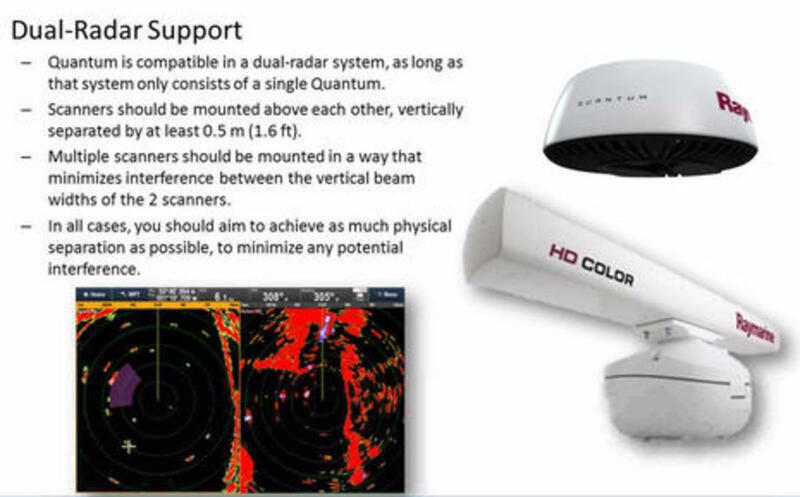 Debuting today online (and at the New York Boat Show) is the Quantum Q24C solid-state radar seen above. 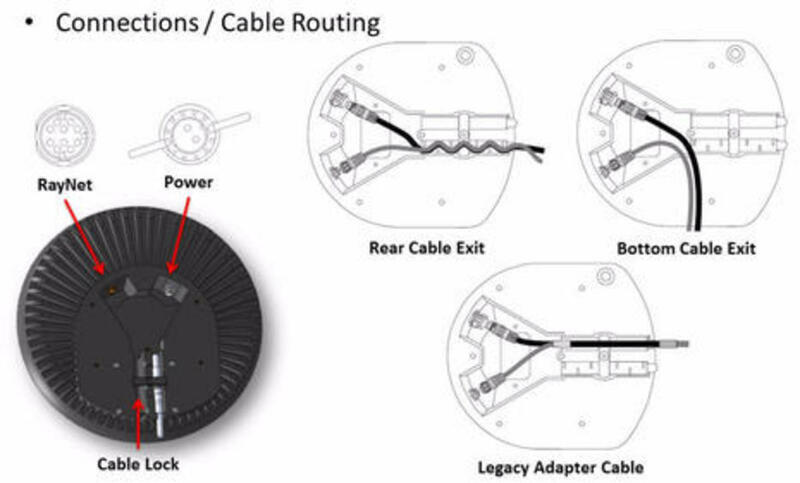 While Ray apparently managed to keep this product a deep secret -- I only heard about it yesterday afternoon -- it appears to be thoroughly developed and near ready to ship. 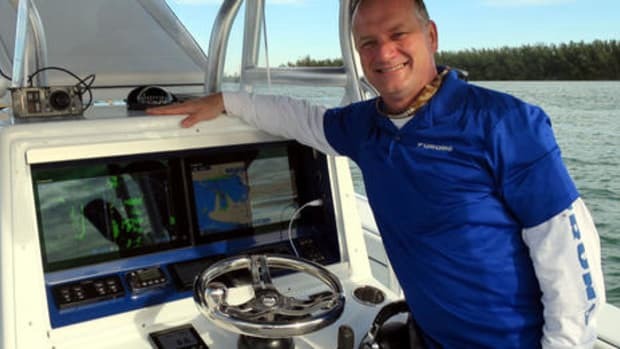 In fact, you&apos;ll see that the install manual is already available, and I understand that the production line is rolling, with first deliveries expected around the time of the Miami Boat Show. I won&apos;t get to see Quantum 24-mile CHIRP radar in action until then, but I was definitely impressed with yesterday&apos;s briefing. 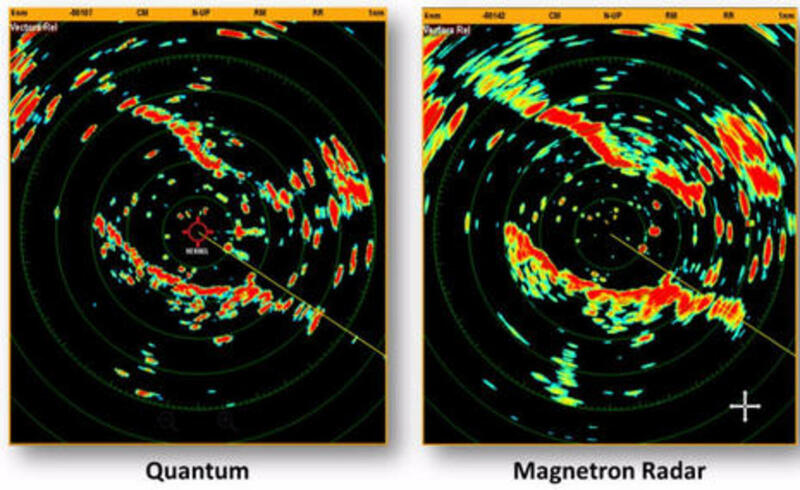 The $1,599 Quantum radome is obviously a direct competitor to Navico&apos;s Broadband radome series, like the Simrad 3G and 4G (as well as all the other small magnetron radars in the market). 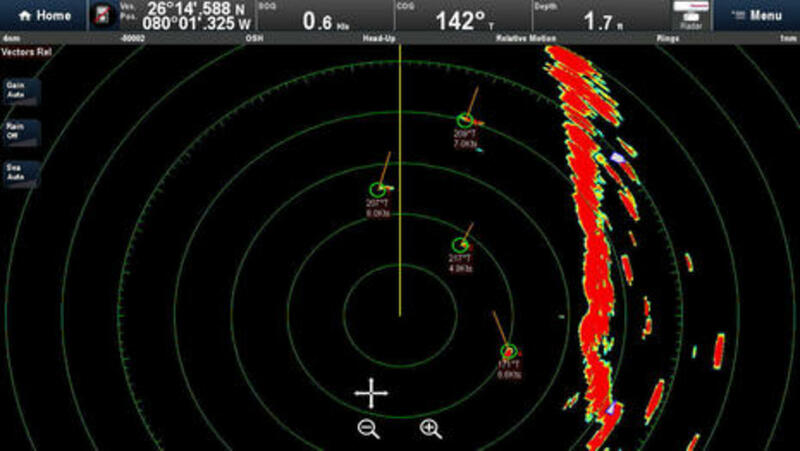 But instead of using Broadband&apos;s FMCW solid-state technology, Quantum uses CHIRP pulse compression transmissions more similar to Simrad&apos;s Halo open array radars. Notice, for instance, the difference in proportions between the Quantum and Broadband antennas, which is because pulse compression uses a single transmit/receive array versus FMCW&apos;s taller dual array. In fact, Quantum is almost the exact same dimensions as Ray&apos;s existing "18-inch" radars, though it sports a sharp new industrial design and only weighs 12 pounds. 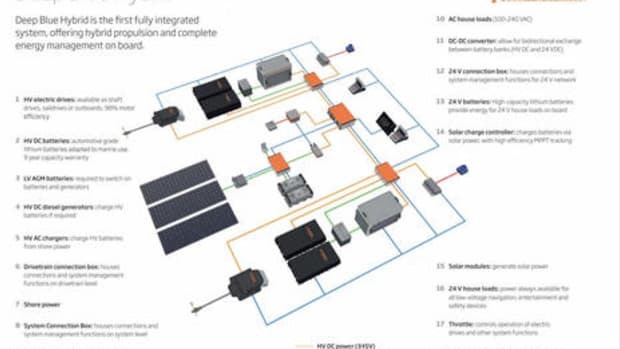 So Quantum has the general benefits we&apos;ve seen so far from all recreational solid-state radars, like very low power draw (17W on, 7W standby, 2W sleep), nearly instant startup anyway, and virtually zero dangerous emissions. But we shouldn&apos;t make presumptions about performance based on past Navico solid-state radome experience, because the specific solid-state tech is quite different. That said, Quantum performance looks good from what I&apos;ve seen so far. Here&apos;s Quantum set at its minimal 1/16nm range -- equal to about 380 feet or 115 meters -- nailing a daymark roughly 190 feet ahead. 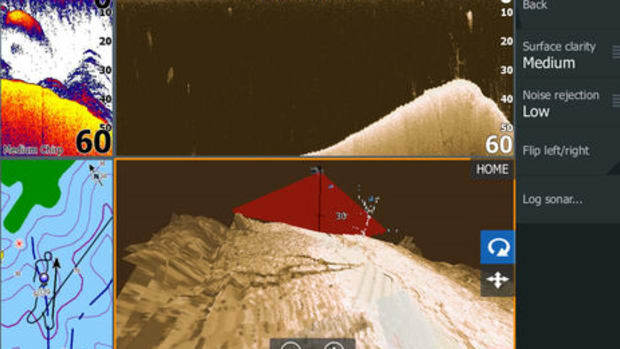 Raymarine claims 18 feet as a minimal target distance and I think that&apos;s plenty good enough. 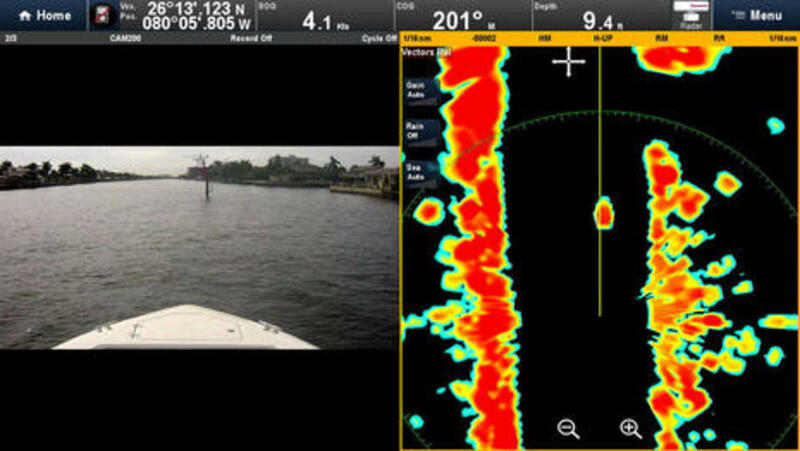 Note the very clean target imagery here and below, all with gain and sea clutter controls set on auto, and also how the test boat&apos;s Cam200IP visual light camera (discussed here) can pair neatly with the radar, as could the thermal camera. That boat has eyes! Here&apos;s the test boat in Indian Creek, Florida, with the Quantum set at the 1/4nm range more commonly used in tight waters. Apparently, that&apos;s the photo boat trailing close behind, but more impressive is the small target showing along the shoreline off the starboard bow. It&apos;s that kayaker in the photo, which also shows how he was paddling in front of a large concrete building that might have messed up his slight return signal on a conventional radar. 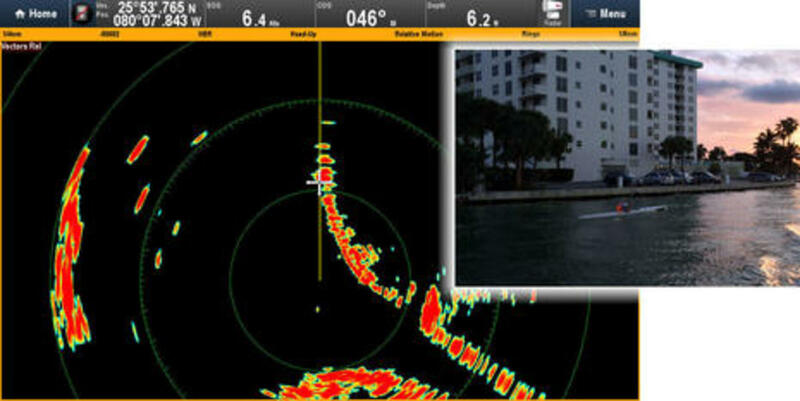 The kayak represents the high range resolution possible with CHIRP pulse compression and FMCW solid state radar, and Quantum also claims "FLIR&apos;s exclusive ATX advanced target separation technology" (which may be like 4G and Halo&apos;s beam sharpening). I wish I could share high resolution screens of Quantum at 6nm range, but like this low res comparison nontheless. I believe it was taken somewhere on the south coast of England, probably aboard the mighty Raymariner, and it compares Quantum to Ray&apos;s conventional (and excellent) 18-inch 4kW radar in busy waters. The CHIRP pulse compression seems to returning nearly the same hard targets out at the margins with perhaps a bit more detail in close. 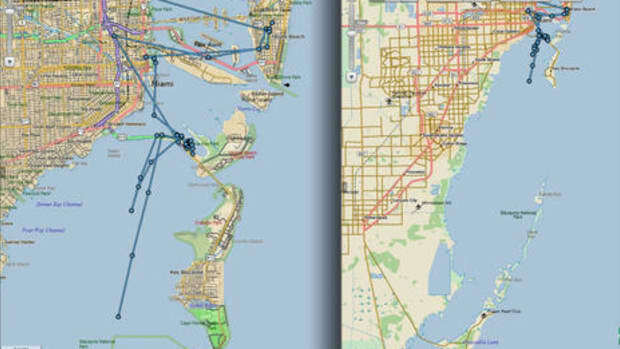 Note also the lack of interference from other radars. Finally, here&apos;s another coastal shot, this time at 12 nautical mile range. 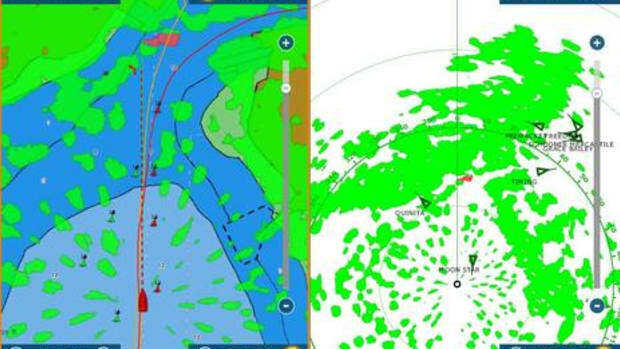 Navico&apos;s early Broadband radar was decidedly weak at ranges like this, though that improved greatly with the 3G and especially the 4G model. 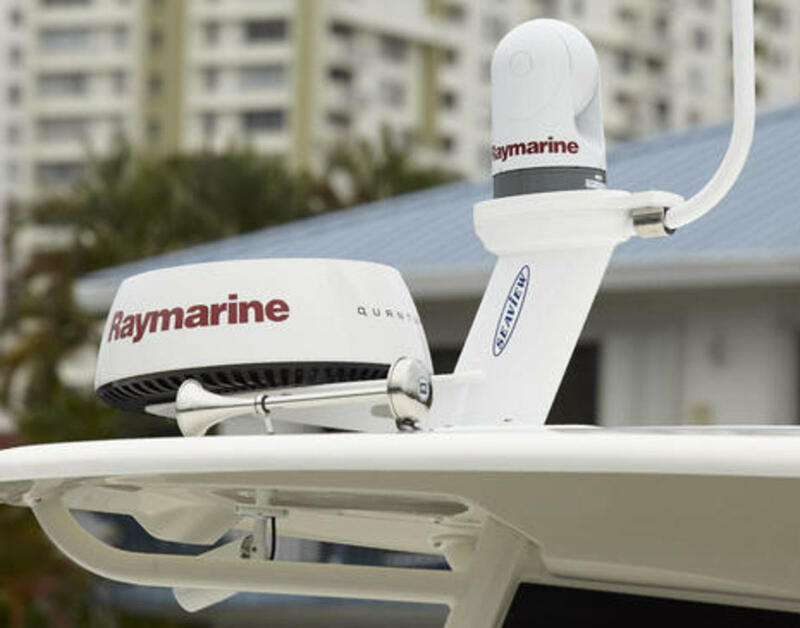 Quantum looks good here -- note the strong return at 16nm -- and Raymarine&apos;s Jim McGowan told me that he&apos;s seen good ship and coastline imagery at nearly 24nm, and also that Quantum can see rain well in Weather Mode (or filter it out). But when you&apos;re using 20W solid-state pulses to do what&apos;s normally done with 4kW magnetron pulses -- as Quantum does -- folks need more assurance that they can really make the distance. I&apos;d like to see more screenshots or, better yet, try it myself. Meanwhile, Quantum mechanics (ha!) are easier to judge. That&apos;s McGowan above showing off the radome&apos;s sculpted bottom design -- "We realized that the bottom was what many radar owners see the most" -- and clever install details. For instance, the cable retainer he&apos;s touching is spring loaded so the installer doesn&apos;t have to use little fasteners while precariously up a mast. 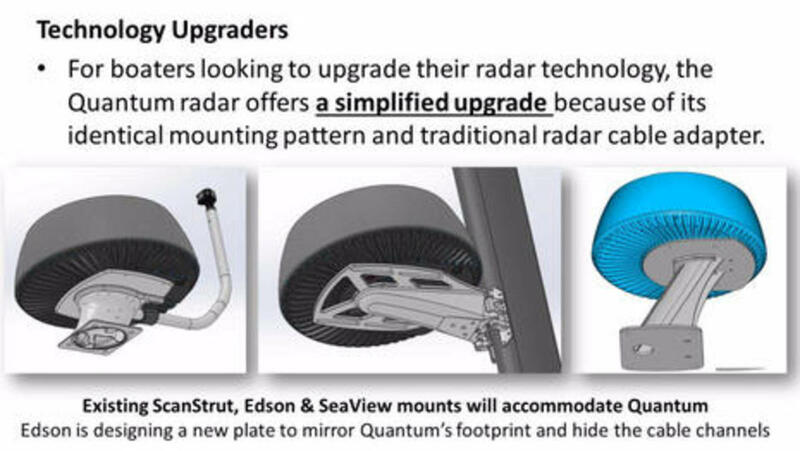 Obviously, Raymarine designed Quantum for easy retrofitting, though I must note how nice the new radome design looks with Edson&apos;s specially designed mount plate even though an existing Edson Ray plate will work. 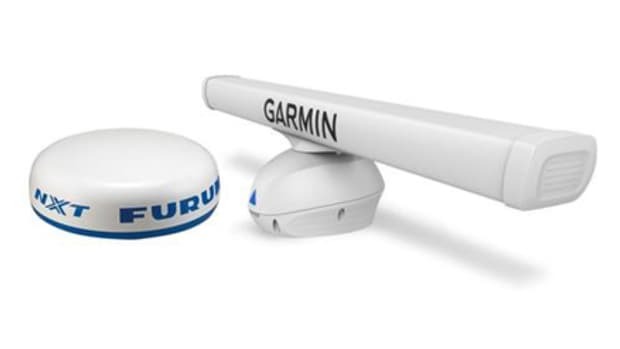 Finally, the Quantum is the first radar ever with the choice of WiFi or Ethernet data connections (the Furuno DRS4W is WiFi and iPad only), and the WiFi option looks to be smartly done. 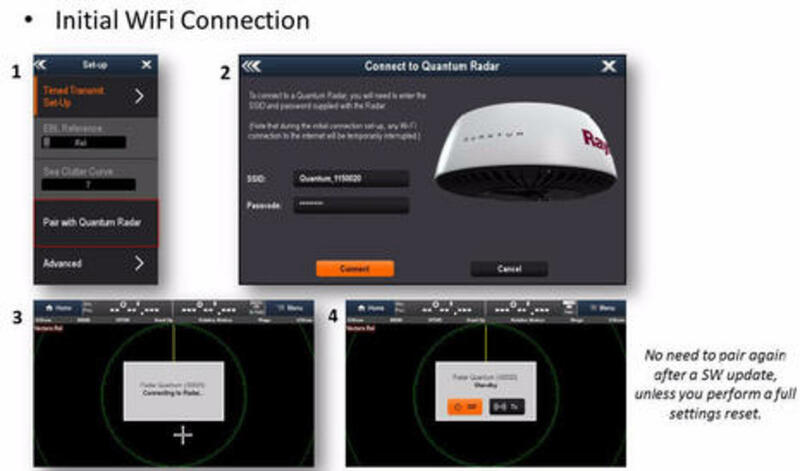 The briefing slide above shows how easy it is to log an MFD running Lighthouse 16 (coming soon) onto a Quantum&apos;s WiFi, and note how the warning implies that an existing MFD Internet connection will only be interrupted temporarily. 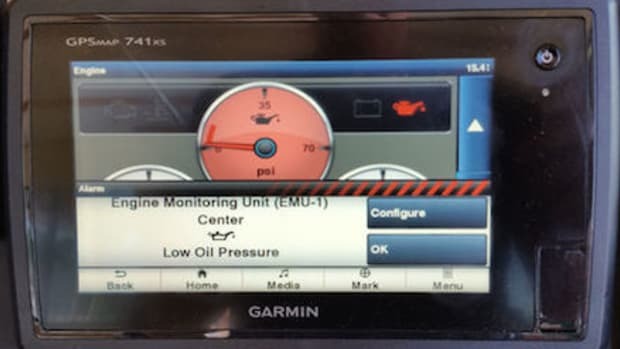 Jim McGowan further explained that a Quantum is even able to "fail over" to another MFD if the originally logged-in one goes caput (or isn&apos;t turned on). 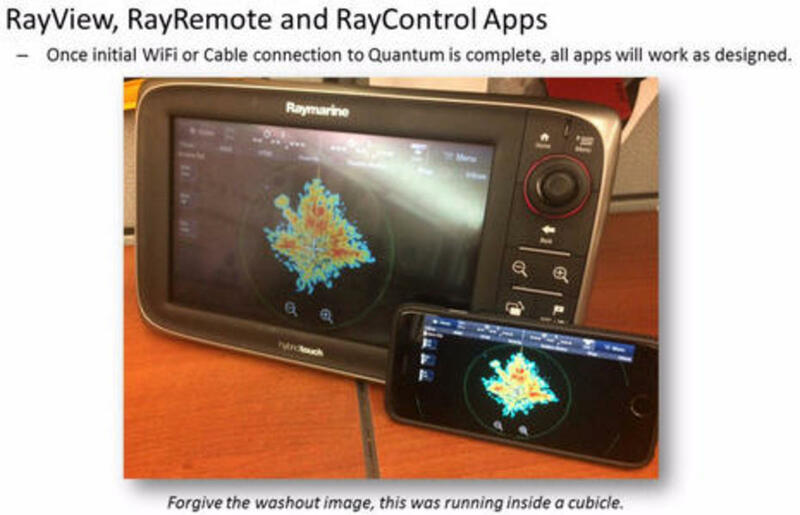 And, yes, a LightHouse MFD connected to Quantum WiFi can still be an access point for various Ray apps, as Jim illustrated below. "But isn&apos;t that a terrible radar image," I said before noticing the apology line. 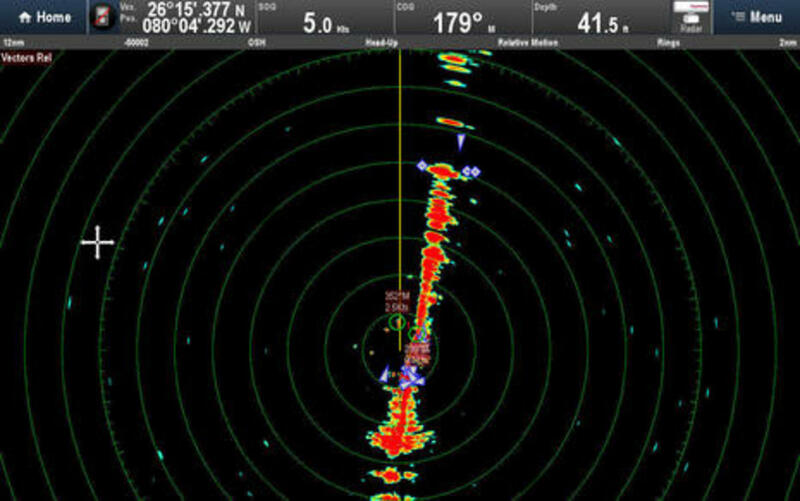 Heck, that&apos;s Quantum radar imaging everything that&apos;s within the four walls of Raymarine&apos;s U.S. headquarters in New Hampshire. The company is clearly excited about their new radar, and so am I. 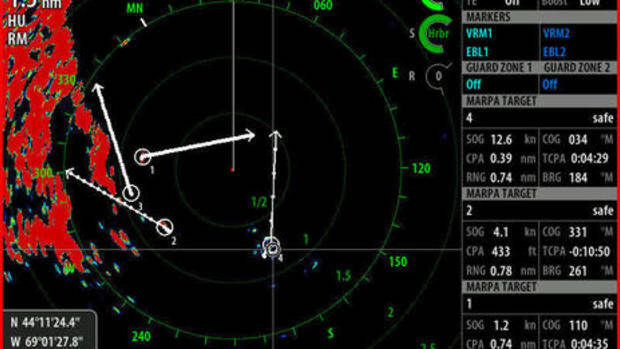 It looks like a great new option for those who have or are about to purchase Ray navigation systems, especially sailors, and it&apos;s good news to finally have competition in solid-state radar, with Quantum possibly just the first we see in 2016.